In 99% of cases when this happens it is because your recipes were already synced to a different Paprika Cloud Sync account than the one you are currently logged into. If you log back into your original account, your previous recipes will be restored. 1. Open Paprika. Go to Paprika's Settings -> Cloud Sync. 2. Press the Log out button. 3. Once you have logged out, you can log back in with your original account. 1. Log into your old account, and let it fully sync and download the recipes from that account. 2. 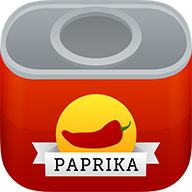 Go to Paprika's Settings -> Export, and export a copy of your recipes to the .paprikarecipes format. 4. Go to Paprika's Settings -> Import, and import the file you previously exported. These will be treated as new recipes and added to your new account.